Queens of the Stone Age in Montreal or Quebec City? Inform me about the next events for Queens of the Stone Age. Enroll yourself to our priority waiting list for Queens of the Stone Age to be alerted when new tickets are available. Filling this form doesn't engage you to any purchase. Queens of the Stone Age will be performing at the Bell Centre, on July 9th, 2014. 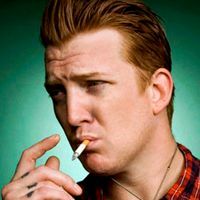 Josh Homme and his band will be returning to Montreal after a 3-year absence, with their latest album Like Clockwork in their backpocket. Don't miss Queens of the Stone Age, one of the most powerful bands in rock today !